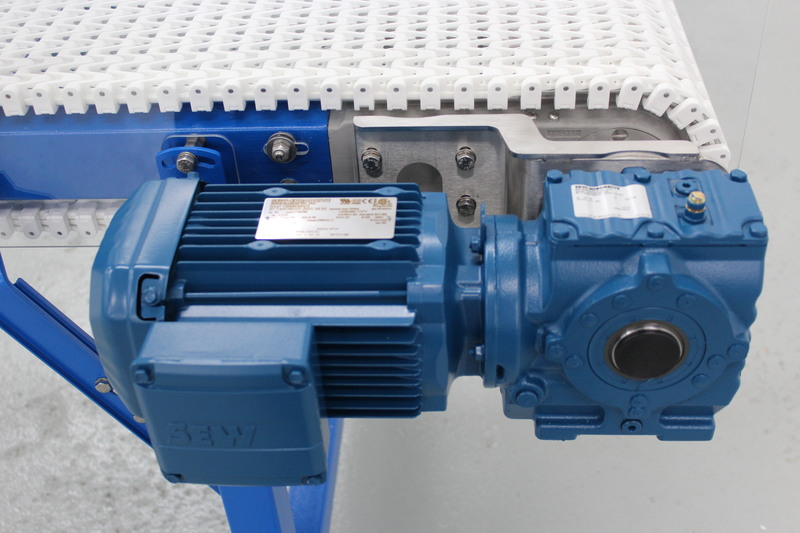 Easy to maintain, service or replace, our popular Hollow Shaft Mount conveyor drives are reliable and keep operations running smoothly and on time. 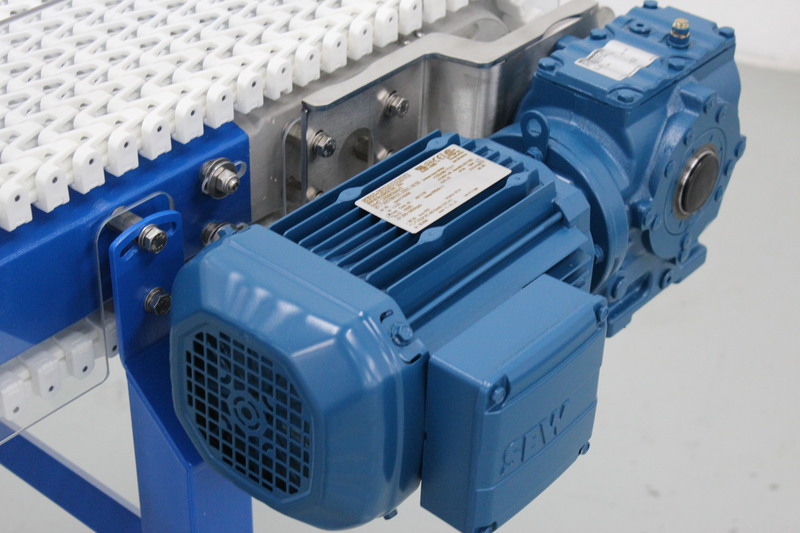 A typical Span Tech conveyor is powered by an SEW-Eurodrive helical-worm gearmotor, with a hollow-shaft mount. This design facilitates easy maintenance, and simplifies removal/replacement if necessary. 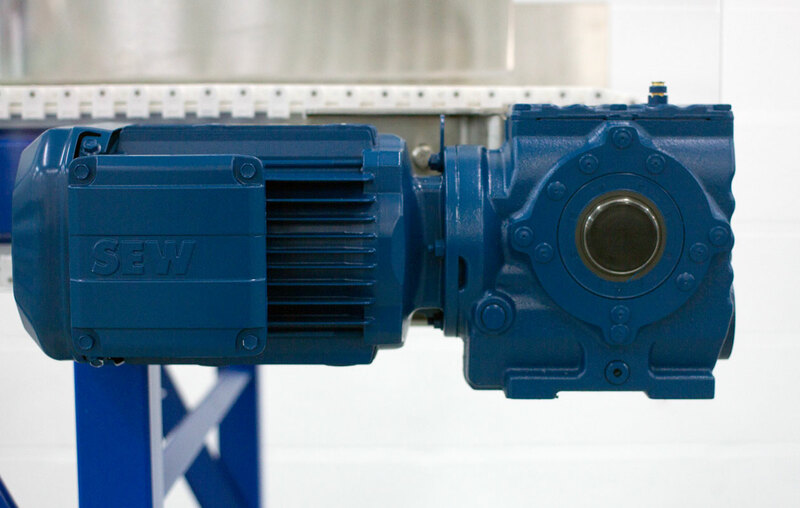 The gearmotor’s hollow shaft is keyed to one end of the conveyor’s drive shaft, while a torque arm bracket secures the motor to the conveyor frame.